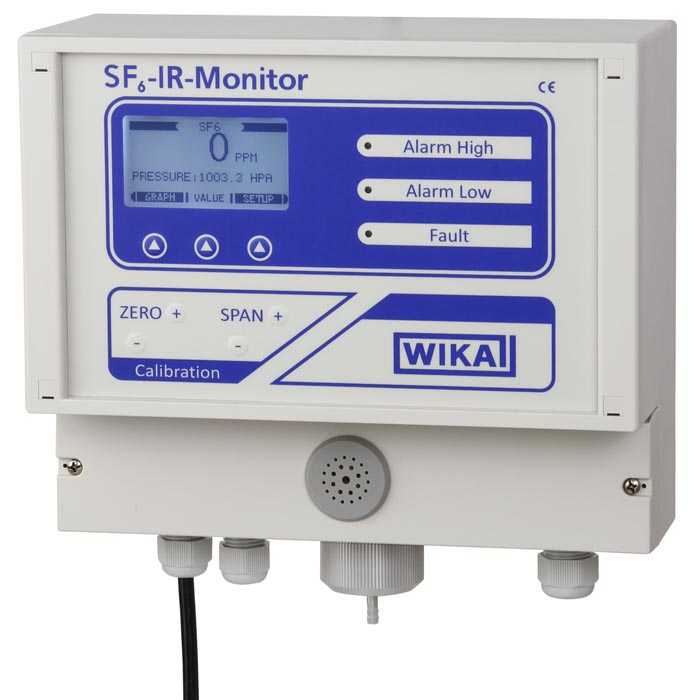 The emission monitor model GA35 has been specially designed for detecting the SF6 gas concentration in enclosed rooms. If the SF6 gas is processed or stored, harmful quantities of SF6 gas can escape due to improper operation or leakages. The model GA35 makes it possible to control areas of up to 250 m2. SF6 gas is five times heavier than air, therefore breathing air can be displaced in case of higher concentrations of SF6 gas so that there is a risk of suffocation. The GA35 continually controls the ambient air by means of a non-dispersive infrared sensor. Usually, samples are permanently taken near the gas tanks or gas-insulated switchgear on which large quantities of SF6 gas can escape within a short time. 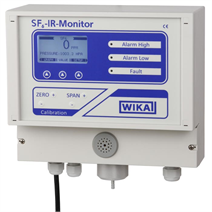 Loud alarm sound immediately warns against hazardous gas concentrations in the air. As the SF6 gas sinks due to the high molecular weight compared to the ambient air, it is useful to mount the sampling box near the ground. Particle filters in the sampling box and in the hose connection ensure that the measuring result is not falsified by impurities. The flow control of the GA35 sounds a failure alarm in case of a pump failure or if the supply line is clogged in order to ensure reliable operation.